Sunsuper, operating out of Brisbane, Australia, is one of the largest super fund financial services firms in the nation. It handles $37 billion in funds under management for more than 1 million customers. The firm has always built its brand around customer service excellence. To keep up with changing customer and employee demands for digital services, Sunsuper wanted to transform its business quickly—without disrupting the existing customer experience. Sacrificing quality wasn’t an option for the organization, even if it needed to make major changes. Sunsuper had identified that today’s consumers were using diverse channels to interact with financial services providers, but the company didn’t have systems capable of meeting up with the digital consumer lifestyle. The vast majority of processes began with paper. An employee would get a form, a series of documents containing data or a similar set of paperwork and that would initiate the process. From there, papers would be passed along between stakeholders as users worked to get the right information to the right people to meet customer demands. Going digital with Appian transformed this entire situation. Now, members choose a digital channel and Appian automatically handles the request between member interactions and backend systems. Because of this move to digital, 70 percent of processes have been automated and, as a result, employees can focus on the customer experience and not have to spend their time digging through multiple data systems. This all adds up to a single view of the customer that creates visibility and responsiveness far beyond what competitors in the marketplace can accomplish. Sunsuper, one of Australia’s largest superannuation companies, uses Appian’s low-code digital transformation platform to reduce operational cost and provide an exceptional customer experience that far exceeds its competitors in the market. 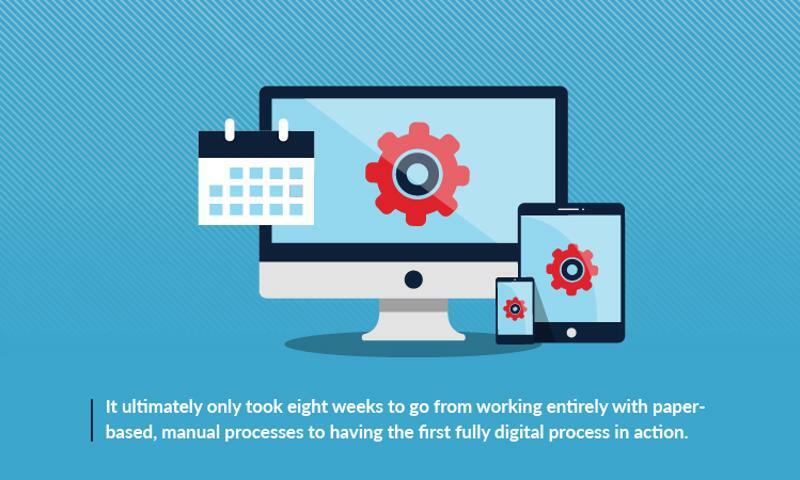 It ultimately only took eight weeks to go from working entirely with paper-based, manual processes to having the first fully digital process in action. These capabilities add up to disrupt operations in a positive way, freeing employees from longstanding procedural roadblocks and giving them the time, data and resources needed to focus on customers. All told, Sunsuper has big plans for its Appian program, as it hopes to use the technology to create a best-in-market customer experience. Modern technologies can dramatically accelerate efforts to improve processes. Appian is committed to creating process flexibility and agility for its customers through digital transformation. For Sunsuper, this meant being able to cohesively migrate the business from paper-based, manual operations to digitally-driven, automated processes that empower workers to prioritize customer interactions and make better, faster decisions. Your organization can achieve these same results. Our technology is built for scalability and ease of use through cloud application platform functionality that simplifies the technical side of adopting a BPM solution. This technical flexibility ensures that your business can start innovating quickly and getting results from a strategic investment in The Appian Platform.